From A Child’s Point of View is more than a public art project. Your support will encourage lifelong informed citizenship. From A Child’s Point of View shows what children are thinking and worrying about. They made drawings of their ideas. How do we protect planet earth? 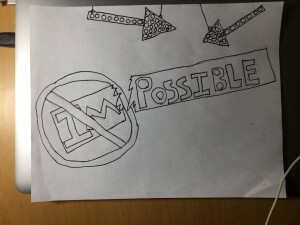 When asked, Bellingham fourth-graders had useful, pragmatic ideas. But they also say they feel outnumbered. Don’t let these children feel outnumbered. The Project: Artist Ries Niemi fabricated their drawings into steel plates that are 2’x3′ . Nineteen pieces will form a mural on a wall in Maritime Heritage Park. One and all will see the ideas of our future leaders. The students’ drawings tell us what they see and know, and how they feel about what they see and know. Help kids protect the planet. Won’t you show these youngsters that everyone should hear what they have to say? Give now. To make this momentous exhibition possible we need to raise $5,000. We are half way there. 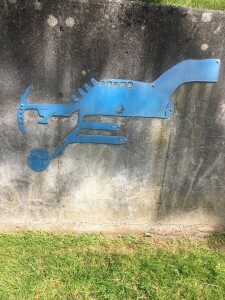 Example of a child’s drawing rendered into metal by Ries Niemi. 1999. 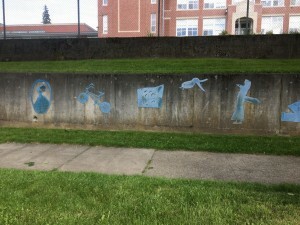 A section of the mural on the sidewalk in front of Lowell Elementary School. From A Child’s Point of View, a project under the direction of Lisa Citron, operates under the fiscal sponsorship of Allied Arts of Whatcom County, a nonprofit 501(c)(3).